Cities and towns are reacting to the state’s recommendation that the Federal Emergency Management Agency buyout 99 homes in Vermont destroyed by Tropical Storm Irene floodwaters. Northfield’s zoning administrator Michele Braun says the town submitted three applications after the August storm – one for nine homes, and two others for two homes each. "We were very pleased that all 13 were approved," Braun says. 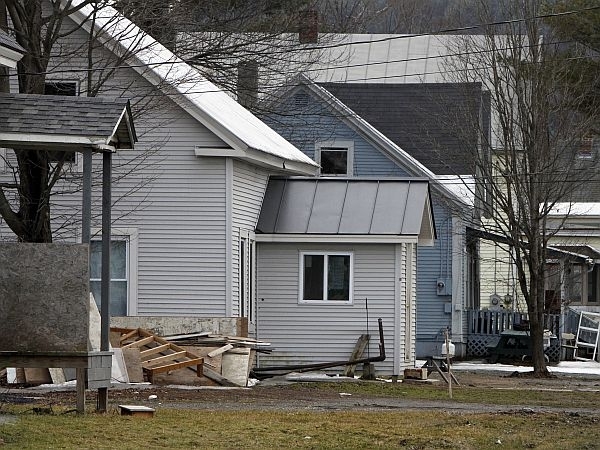 For homeowners, the state’s approval is just the first step in the federal hazard mitigation program, and town officials like Michele Braun are hoping FEMA will approve the state’s recommendation next month. "The homeowners are very glad that our applications were well received at the state level," Braun says. "They are getting very frustrated with the length of the wait for the FEMA approval. They are ready to move on and they want to purchase new homes, get their lives started over again and they are definitely losing patience with the process." Braun says Northfield is not concerned about losing revenue by dropping 13 properties from its tax rolls. "I don’t think it’s the buyout itself that is affecting the grand list. The properties lost their value as a result of the disaster." Last week, more than eight months after Irene, Governor Peter Shumlin reiterated his request that the Obama Administration increase the state’s federal reimbursement for damage caused by Irene from 75 to 90 percent. Braun says it’s important for towns like Northfield that Vermont receives that additional boost. "Our budget is just as tight as it can be already, and like most of Vermont our infrastructure budgets have been hurting over the past several years." Any help that the town can get to rebuild damaged roads and bridges is vital, Braun says. Governor Shumlin estimates that if his request is approved, Vermont could receive an additional $30 million.